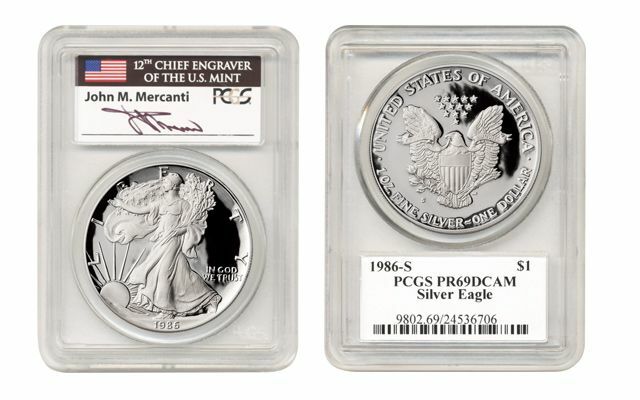 John Mercanti was the 12th chief engraver at the U.S. Mint. During his tenure, he produced more coin designs than any other chief engraver in the mint’s history—more than 100! 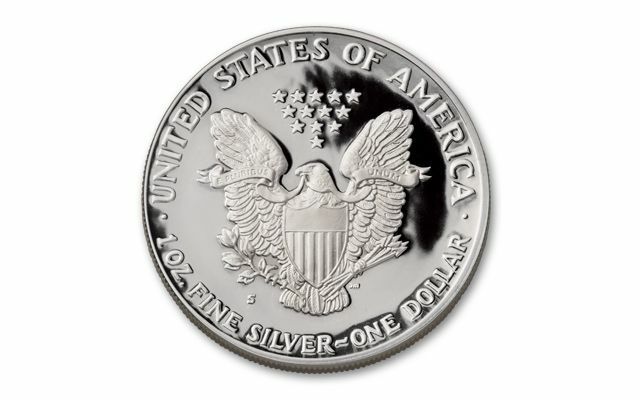 His most enduring may be his reverse for the American Eagle Silver Dollar. 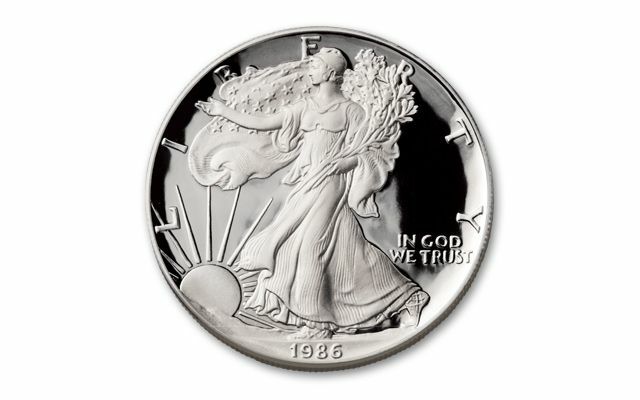 Hundreds of millions of his Silver Eagle design have been struck. 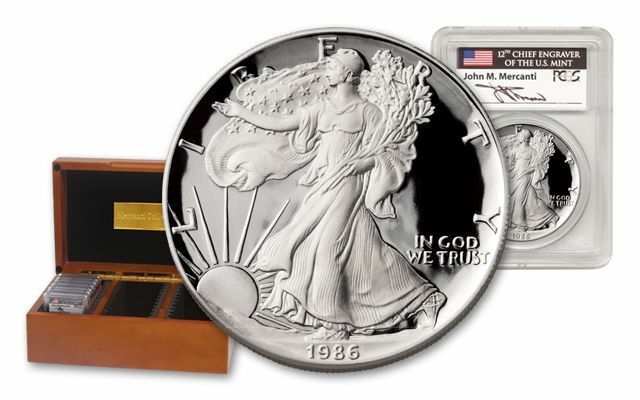 Now you can secure a seven-piece 1986–1992 Proof Eagle Silver Dollar collection with each proof graded by Professional Coin Grading Service (PCGS) in Proof-69 Deep Cameo (PR69 DCAM) condition. Each proof includes a label hand-signed by John Mercanti himself! The label is sealed in the holder with the proof to assure the provenance forever. These sets are exclusively available through GovMint.com®. Silver Eagles are hot; famous autographs are hot—here’s a great opportunity for once-in-a-lifetime designer-signed Silver Eagle sets.